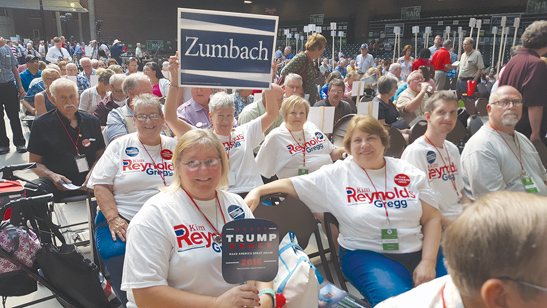 These Hamilton County Republican State Delegates recently attended the GOP convention in Des Moines. Pictured front row, Polly Hayes, Madonna Ventling, Michael Knickerbocker and Bill Conaway; back row, Chair Becky Kepler, Connie Evans and Mary Clausen. Not pictured was Kevin Lunn. A big part of the convention was the selection of the Secretary of Agriculture candidate. After a few ballots, Mike Naig received the needed votes. 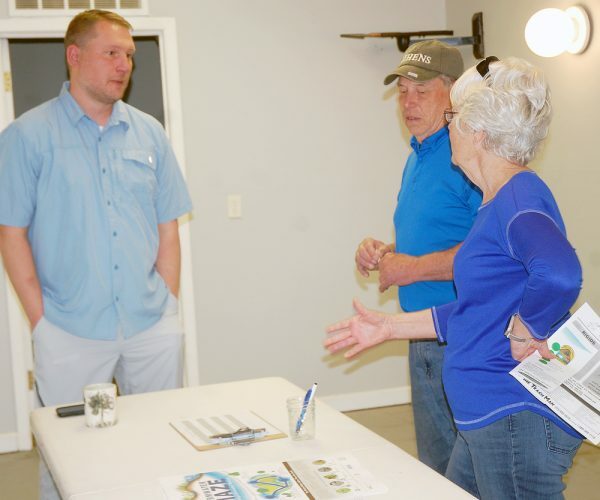 The 8 delegates visited with elected officials, greeted friends and attended a breakfast sponsored by former Secretary of Agriculture Bill Northey.